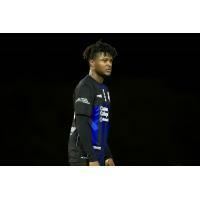 Carson, California - The Colorado Springs Switchbacks FC put in a dominant performance on Saturday night to open the season with a 4-1 win over the LA Galaxy II behind Shane Malcolm's hat trick, the first in Switchbacks history. Coming off of an undefeated preseason, the Switchbacks were looking to keep the momentum going in Los Angeles. Shane Malcolm gave the Switchbacks the early lead with a header from close range after Mike Seth played the ball back across the face of the goal. Malcolm started the second half just as hot as the first when he found himself 1-v-1 with the keeper and his initial chipped effort fell to his feet as he put the ball into the empty net just three minutes after half time. Nearly 10 minutes later, Ish Jome played in a cross that found the head of the Switchbacks captain, Jordan Burt, who would make no mistake of the finish to extend the lead to 3-0. Shane Malcolm made Switchbacks history in the 76th minute when he scored his third goal of the game, making him the first player in Switchbacks history to score a hat trick. The Galaxy would pull a goal back in the final minutes to have the final scoreline end 4-1. The home opener is on March 16th as the Switchbacks host the Sacramento Republic FC at 6:00 PM at Weidner Field for a St. Paddy's Day celebration with fireworks and 16oz $1 beer for the first 30 minutes after gates open at 5:00 PM. Tickets start at just $12 and are available HERE. For the price of a Switchbacks ticket and 2-5 beers, it is cheaper than buying 2-5 beers at a bar or restaurant.